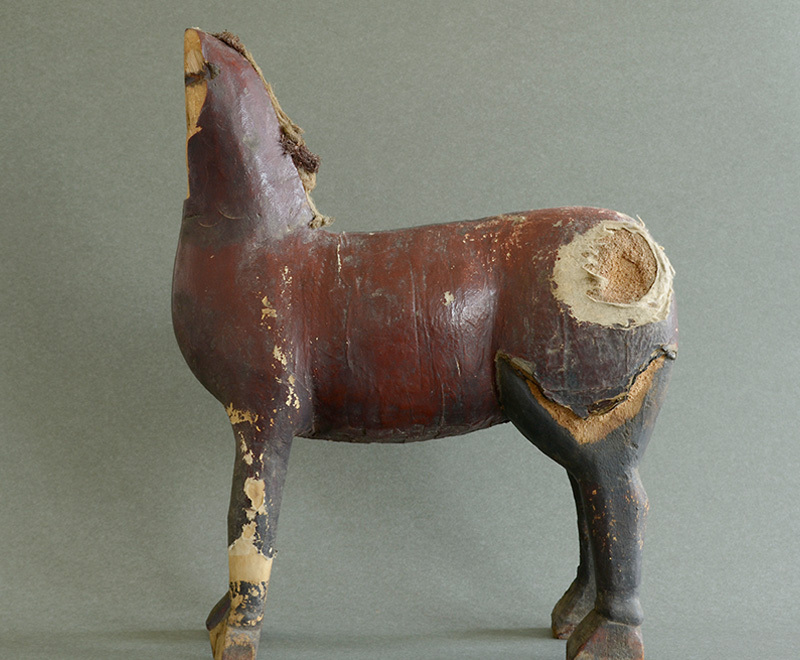 Dedication SHINME (Dealer: Jinta) – Wood carving ‘Shinme’ (= ‘Shinba’ / Shinto sacred horse) as a dedication. Edo period, 18-19th century. Mercifully, aged and remained in such aesthetic form which stirs your imagination up, as a beauty of imperfection.